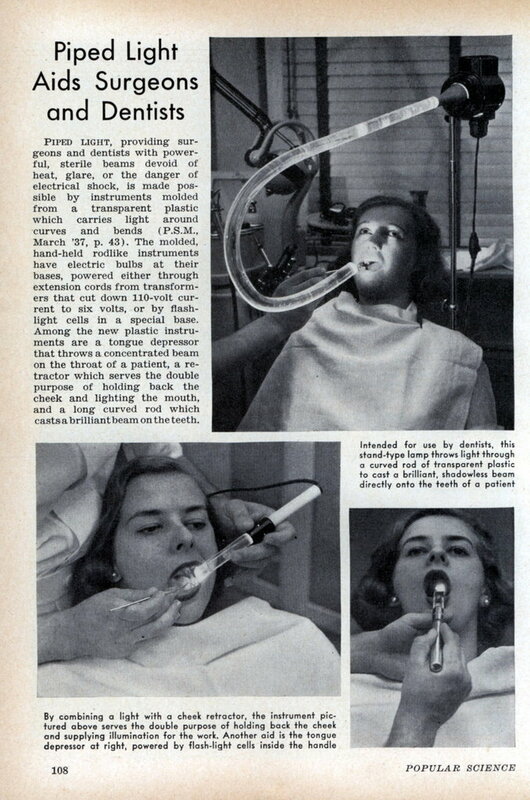 PIPED LIGHT, providing surgeons and dentists with powerful, sterile beams devoid of heat, glare, or the danger of electrical shock, is made possible by instuments molded from a transparent plastic which carries light around curves and bends (P.S.M March ’37, p. 43). The molded hand-held rodlike instruments have electric bulbs at their bases, powered either through extension cords from transformers that cut down 110-volt current to six volts, or by flash-light cells in a special base. Among the new plastic instruments are a tongue depressor that throws a concentrated beam on the throat of a patient, a retractor which serves the double purpose of holding back the cheek and lighting the mouth, and a long curved rod which casts a brilliant beam on the teeth. All this articles from that 1939 issue of Popular Science are fantastic and so funny ,thanks for posting. 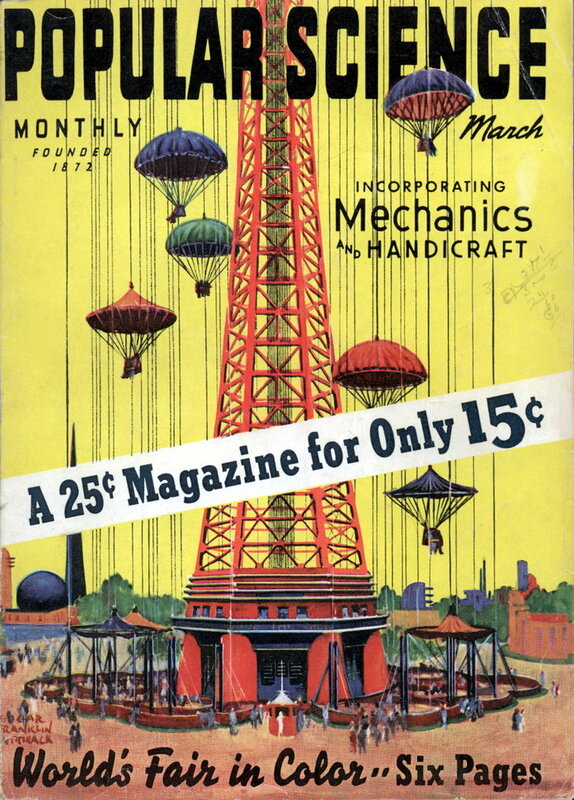 I would love to see the article on the New York Fair ! Could you post it ?? ?